As Nikon Forestry Pro rangefinders make an accurate estimation of distances, it is easier for hunters, golfers, and archery experts to hit the target. Rangefinders are proven to be essential in outdoor sports. Lots of people seem to find it a very pleasurable adventure buddy and they have been become positively hooked by it. However, to win accurate distance estimation, a simple rangefinder might not be enough. You have to go beyond on it. 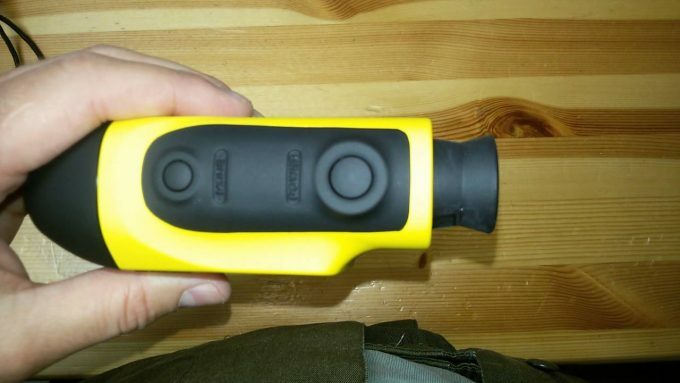 You have to have a waterproof laser rangefinder. Laser rangefinders are sophisticated precision optical instruments with a laser, electronics, and waterproof capability. This piece of equipment allows you to shoot accurately and rarely miss the target. The efficiency of these rangefinders depends on how well it is handled, maintained and stored. And of course, it depends on how smart you are in separating “best” from not. So, before you hop on the purchase action, some things need to take into consideration. Your equipment is as important as your skills. This is where this review comes into play. 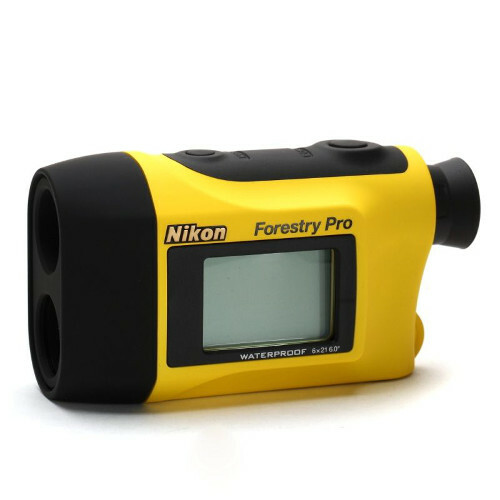 The Nikon Forestry Pro is one of the most in demand rangefinders in the market today. Here, you will get all the information you need about the device. Go and get the hunting ready! There is a huge selection of laser rangefinders available nowadays. Deciding what is the best for the money, might be the hardest part. An interesting fact we found is that many of the rangefinders almost shared the same look but they greatly have different functions, features and of course, prices. The Nikon Forestry Pro has unique, amazing characteristics in which could help you improve your aim to the target. To ensure safety, this product is packed in a well-sealed box upon delivery. Order it online, and you’ll get it in an approximately 3-5 days door to door arrival. The box is covered with some pads inside to reduce movement of the equipment which may cause damages. It also comes with moisture-absorbent materials. Bear in mind that the weight description of the product may be different from its weight when shipping. 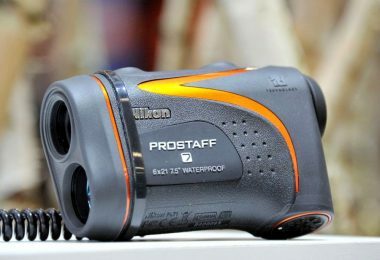 Aside from having exceptional measurement functions such as actual and horizontal distance, height, angle and vertical separation, the Nikon Forestry Pro – Waterproof Laser Rangefinders are also designed with three-point measurement or the capacity to measure height between two points.Measurement results are then displayed on both internal and external LCD panels making it easy for the users to read upshots. The device has some sort of simplicity but it was built with high-quality materials for lasting durability. It also has high-quality 6x monocular lenses with multilayer coating to generate crystal-clear images. The battery chamber of the rangefinder is beautifully water resistant with a high-eyepoint design for viewing even when using sunglasses.Just let the device be used during rainy weather conditions because it is waterproof. It does survive up to 1-meter water sinks for 10 minutes but it is not advisable to be used underwater. Just like other devices, this offering from Nikon also has many intriguing features. They do have unique features in which other devices might be lacking. Help yourself understand the gear better by considering the following factors. The three-point measurement capability provides the difference in height between two targets. It has been done by measuring the horizontal distance. After the horizontal distance is being measured, the angles to the target base and the top come next. The three-point measurement is important especially if there is something blocking the laser beam which may cover the base or top of the target. There are two measurement modes available in the Nikon Forestry Pro with the use of Target Priority Switch System. The First Target Priority Mode is made to display the range to the nearest target being taken from multiple results gathered from doing a single measurement. The second mode of measurement is the Distant Target Priority Mode which displays the range to the farthest target taken from multiple results. Just like the First Target Priority Mode, it is also obtained with a single measurement. Both modes are great and serve to be beneficial in any use. However, the existence of the second mode, the Distant Target Priority Mode is very much useful, especially for precise forestry and hunting. A higher magnification usually means a better look at the object but it could also reduce Field of View (FOV) at a specific distance which can make it difficult to relocate your target through the rangefinder. The Nikon Forestry Pro fairly has high-quality 6x monocular. Users who are always wearing eyeglass can still have clear viewing due to its high-point design making it capable of distancing different targets for up to 20-second succession. Just keep pressing the button to experience this. The lenses of the Nikon Forestry Pro have multilayer coating not just for the safety of the device but also to obtain bright images. The term multilayer coating is very much better than just having coated lens surface. As more and better coatings mean more brightness, this rangefinder has top-notch brightness. Special chemicals are applied to the lens of the device to reduce glare while maximizing the amount of light transmitted to the user’s eyes.The type, number, and position of the coatings determine how bright the light is transmitted and that obviously makes the Nikon rangefinders stand apart from the crowd. For people who are looking for pro rangefinders with a pretty cool price, the Nikon Forestry Pro might be the best choice. It is a powerful, multi-use rangefinder following Nikon high-quality measures for accuracy.It is capable of distancing different targets in succession, probably, up to 20 seconds by just keeping the button pressed. Everyone can purchase great devices like this in the neighborhood of 350 dollars. The price is pretty much affordable to what the rangefinder can offer for. Upon purchasing the product, buyers can request for a warranty from the manufacturer itself. The warranty as well as the money back guarantee is under the terms and conditions from the Nikon Company. It shouldn’t be broken or used when returned. 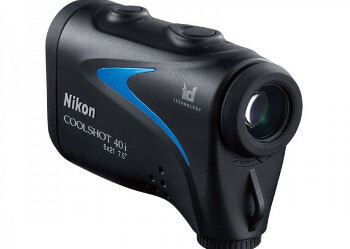 The Nikon COOLSHOT 40i Golf Laser Rangefinder is the ultimate tool specially used in golf. It has multiple modes to choose from which includes slope adjusted distances. This device is the most versatile rangefinder in the Nikon Golf line. Anyone can use this thing for an uphill shot or with a creek running throughout the line. It is very useful for game improvement. Featuring 6x monocular, this legendary optical technology of Nikon provides exceptionally bright and clear images like no other. 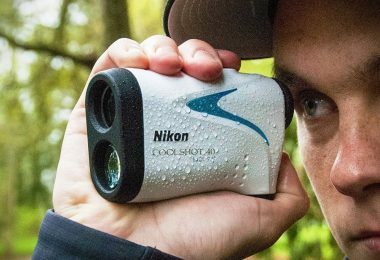 When it comes to the world of golf, the most powerful laser rangefinder in the Nikon golf product line is the Nikon COOLSHOT 40i. With it, golfers will never be lost during the play. The device is provided with Distant Target Priority mode so it would be easier to find measurement through trees. One other mode that can be used with the COOLSHOT 40i is the First Target Priority which will pick up the closest object located in a group of targets. Aside from these two great modes, the golf mode is available. When switching to the golf mode, the device will use the Incline/Decline or ID Technology to have a slope-adjusted yardage. This measurement is also helpful for people who are dealing with elevation changes. ID Technology displays slope-adjusted distance, to-the-target distance and enables to select the proper club for uphill or downhill shots. Nikon COOLSHOT 40i has been Hyper Read for quick and stable measurement response of approximately 0.5 seconds no matter what the distance to the target is. Hyper Read Technology also kicks in and allows for fast easy distance assessment in just one click. Just like the Nikon Forestry Pro, incredible ranging capability can also be found in this device. It can able to reach 8-650 yards in a ½ yard increment. It has an accuracy of +/- 2 ¼ feet with power not exceeding to .0975 milliwatts. With an amazing sharpness and clarity, Nikon COOLSHOT 40i is the legendary Nikon optics. If you want to have quick measurements to multiple targets, just push and release the power button for continuous 8 seconds. The 8-second continuous measurement is great when trying to find measurements of multiple or very small or thin objects. The Nikon COOLSHOT 40i also eliminates second guessing due to its ID Technology. 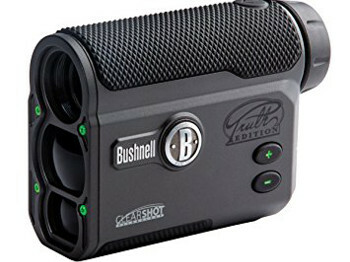 Laser rangefinders by Bushnell are considered to be one of the deadliest combos in the world of hunting. 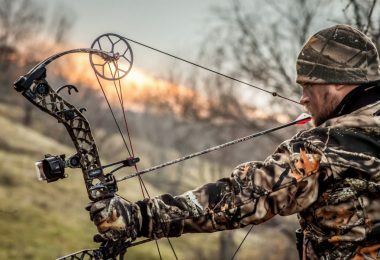 Its Bushnell 202442 The Truth ARC is driven by ARC Technology comes with a Bow Mode. A Bow Mode provides true horizontal distance typically from 5 to 99 yards. This will determine compensated distance based on the angle of the shot. This capability allows users to know what pin to use while delivering the same speed and pinpoint precision on line-of-sight readings. Bushnell’s great masterpiece is packed with a one-button operation for easiness of use and 4x magnification for crystal-clear imagery. There is only one rangefinder brand that has been Team Primos approved and that’s how Bushnell made it. The Bushnell 2024422 rangefinders are provided with the Truth with ClearShot capability. These had made the device capable of making hunting extraordinary. ClearShot technology provides feedback on your shot clearance immediately. This advanced technology takes the guess out of archery shots and prevents worrying about hitting obstructions. The advanced Truth with ClearShot ranges out of 850 yards to a “shots like” 200-yard distance. However, the ClearShot Technology is not compatible with single pin sights. It only works if you have a 20-yard pin and either a 40 or 60-yard pin sighted in. The device can be calibrated in just three simple steps to communicate with the speed of the bow through the sight system. When done, a dot is then displayed to show the max height of the arrow’s travel. 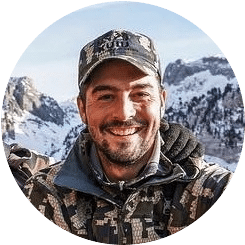 Bushnell offers you an outstanding product performance that’s why the Bushnell 2024422 rangefinders are made with ARC or Angle Range Compensation with bulletproof 100% money back guarantee. The Angle Range Compensation makes this ultimate masterpiece of Bushnell great for bow hunters. The device is also designed or treated to be rainproof to prevent weather from stopping your hunt. Although the device is not completely waterproof but you can still use it even when raining. The Bushnell 202442 laser rangefinder is a very accurate and effective device which enables you to lock in and hit the target with no worries the same as what the Nikon Forestry Pro can give. With the advanced laser technology, you could take out the guess works. The device has pocket-size ergonomics and rainproof design with lightning fast measurements. It has battery life indicator and is compatible with any magnetic attachment system. When you buy the product, you can have a carrying case, battery and neck strap included in the package. Nikon’s ACULON rangefinders are small enough to fit in almost any pocket. It is an ultimate rangefinder which can be taken everywhere at any time. 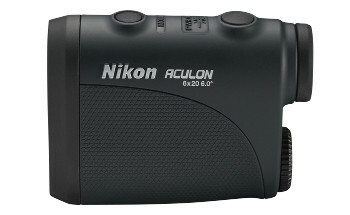 Nikon 8397 ACULON Laser Rangefinders have an ultra-compact frame and an uncluttered, easy-to-read screen displays. The device is provided with single button operation for fast and easy measurements. It is conveniently programmed as well to display the range of the furthest target among of the measured target groups. When it comes to the housing of the device, just like the Nikon Forestry Pro, it is also made with multilayered coatings to present an even higher light transmittance across the whole visible light spectrum. It is a device with the ability to resist water as well and delivers world-class performance in an extremely compact body. This palm-sized ACULON provides speed, precision and optical quality like no other. If you are looking for a rangefinder with a smaller size then this can be the best choice. It has ultimate portability due to its compact size making it convenient to use and easy to store. Its palm-sized dimension makes it comfortable to wear around the neck or place it in your pocket. This device also has a user-friendly design with Distant Target Priority mode, the same as what the Nikon Forestry Pro has. Its quality optics and rapid accuracy make this thing a bit different. The Nikon Forestry Pro Rangefinder is a great device inside and out. With it, you can look through the eyepiece and aim at the target. You can also press and release the button then view the results on the LCD display. Its utility is beyond compare. Choose the mode you like and navigate through them with ease. Whatever the weather condition is, users can have a correct measurement of distances. The device offers accuracy with its three-point measurement capability where users can be able to see the difference between two targets. The device is so cool to measure the distance and height of far off trees, buildings and other distant objects. With it, fun time is anytime. No device is made to be really perfect. All of them also have limitations. All of them also have pros and some cons along the construction. The Nikon Forestry Pro rangefinders are one of them. However, pros certainly do better than the cons. If you need more features with lesser price, choose this! 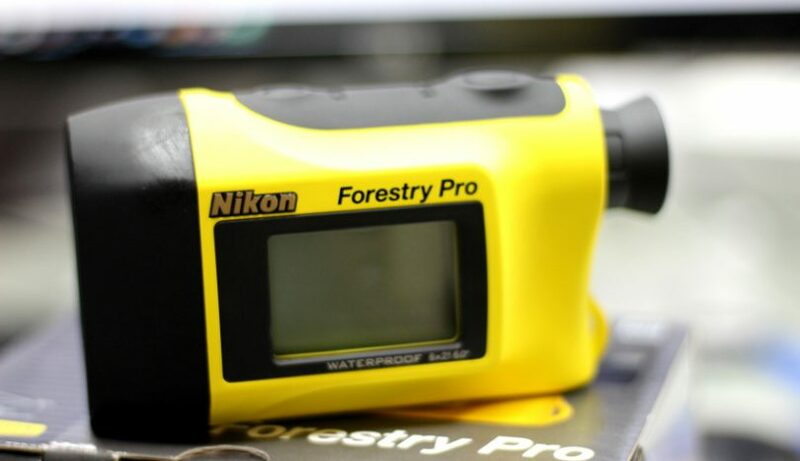 Nikon Forestry Pro is the enhanced model of the Forestry 550 Laser Rangefinder. 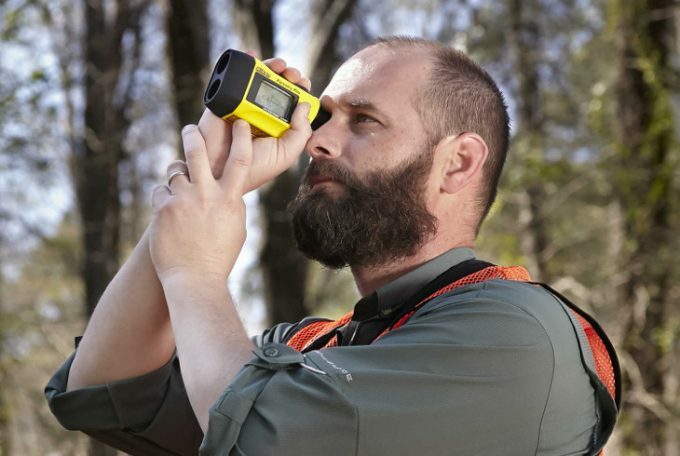 This is a widely used and praised forestry-specific laser rangefinder which is now equipped with three-point measurement capability to meet the most of the market demands. Such great capability enables the user to obtain the height of a tree no matter how the target is being blocked by obstructions. This has helped avoid the use of conventional separation measurement. Conventional separation measurement requires the laser beam to reach the target and thus, it takes time plus hassle to read the results. The Forestry Pro truly offers distance measurement enjoyment in a quick and easy way. Have you had the change to use this rangefinder from Nikon? If so let us know what you thought of it in the comments section below.